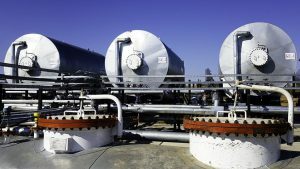 With due regard to the Asia-Pacific Region's oil consumption continuous growth as well as to the export flows" strategic switch towards the East, we believe that the main and the most economically attractive channel of crude oil realization are oil export supplies via the ESPO pipeline system. From the very moment of the ESPO project being put into service, ESPO oil has been globally acknowledged and now has all the chances of becoming a separate benchmark – which will provide efficient sales and a steady cash flow. The further project development consists in selling ESPO oil both to large local oil tanker cargo exporters (at a remuneration-comprising price) at the initial stage, and directly to international contractors afterwards.